The purchase of my new Macan was very efficient and handled professionally by the sales team. 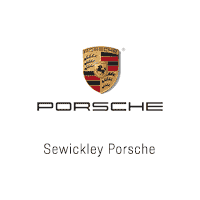 All members of Sewickley Porsche understood the product well and their shared knowledge made my acquisition effortless. Special thanks to Duane Smith for providing a loaner Macan to make appropriate judgment about the engine power choice. Ronnie and Dwight were both great to deal with, even though there was a situation with the car itself and a stop sale they kept me informed throughout the process and made sure that in the end the overall sales experience went smoothly. Everyone was very helpful and they really do treat you like you incredibly well. Ronnie with all of years of experience is a wealth of knowledge and overall an interesting guy to talk to - he is a value to the dealership to have somebody with such long brand history. Having fun with the car so far and couldn't be happier. Dealership with excellent sales and service, great and friendly staff all around. I cannot think of any other place other than Sewickley Car Store for my car needs. They did a wonderful job assisting me in finding the next car of my dreams. Every person at the dealership helped me complete this process smoothly and quickly. I will be back.